Indian Women would be eyeing to clinch the ODI series in the upcoming second ODI against New Zealand. The Kiwis are set to host the Indian team at the Bay Oval, Mount Maunganui in a crunch match. India have to win this match to seal the series and knock the hosts out in their own backyard. India registered a massive 9-wicket victory against the Blackcaps in the first match at Napier. The home side will be under little bit pressure to deliver this time around. 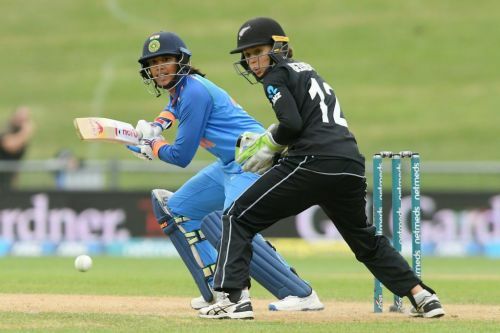 Ekta Bisht and Poonam Yadav took three wickets apiece and made sure New Zealand was restricted to 192 runs in48.4 overs. New Zealand bowlers looked helpless when they were thrashed by the opening pair all over the park. The Women Cricketer of the year, Smriti Mandhana scored an incredible century (105) and J Rodrigues remained unbeaten at 81 runs. India chased down the target quite easily with 9 wickets still in hand. Mithali Raj would be hoping for the same kind of dominant performance in the upcoming match.